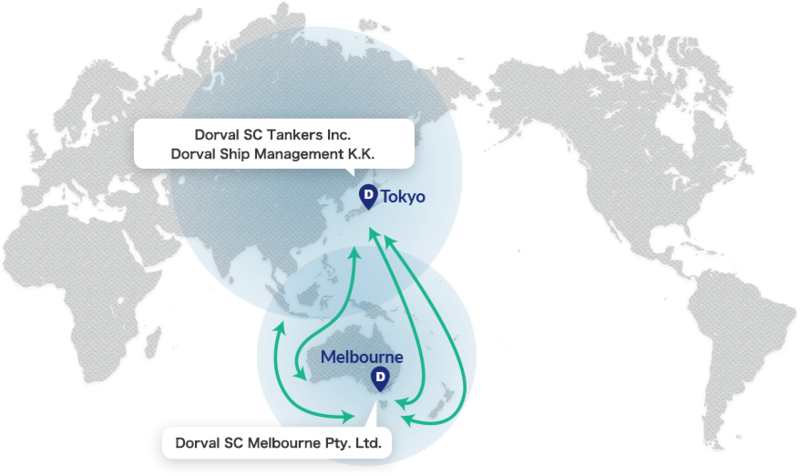 Network & Shipping Route | Dorval SC Tankers Inc.
Our fleet are mainly operated between Australia/New Zealand and Fareast Asia/Southeast Asia. These are the routes and areas that Dorval has traditionally developed and supported since Dorval was established back in 1970. Our Transpacific routes from U.S. Gulf to Fareast Asia and Southeast Asia through Panama Canal or to Southeast Asia via Australia and New Zealand.